Trying for a baby? Have you been trying to conceive for a while without success? Call us at 68844119 or drop us an email at hello@dtapclinic.com to book an appointment with our doctor today. Fertility screening is a simple way of assessing your chances of falling pregnant. This article will discuss the common tests that are used in fertility screening for men and women. Read on for more details about the packages. For more information on the tests themselves, as well as what they entail, please see our other article – fertility screening for couples. Consultation fees and 7 % GST are not included in the prices above. Consultation fee is $60.00 for weekdays and $80.00 for weekends. If you’d like more information about the specific packages or would like to know which package is most suitable for you and your partner, contact our Women’s Health Centre for more information. Hello Docter, my husnlband and i have been trying for a baby for a year and it was unsuccessful. I am considering to go for a fertility check up. Can the detailed screening for both women and men be paid by medisave or is it to be paid full in cash in a one time payment? Please do get back as soon as possible as i really would like to plan my next step, thank you. Hi Shahira, thank you for your enquiry. Unfortunately the fertility screening packages has to be self paid in cash (not able to use medisave). If you would like to make an appointment to come in for the fertility screening, kindly call 6884 4119 for an appointment. Hi Habiba, thank you for your enquiry. It would be advisable to see a fertility gynaecology specialist as soon as possible who will be able to help with more aggressive investigation and treatment given your advanced age and also as you have been trying for a few years now. My husband and I have been trying for a baby for half a year. We are currently 28 years old. We know the recommendation is to do a check after a year of trying. However, we wish to check if there is an issue with our body. Is it advisable for us to consult now? Also, could you advise us on the package c for both male and female? Thank you. Yes, sometimes it does take a little while for a couple to fall pregnant. However, you’re still welcome to come to clinic for a consultation – we can review your medical histories, and general lifestyles, and see if there are ways to optimize your chances of falling pregnant. Perhaps you could ring the clinic at 68844119, and I could explain the testing to you over the phone? How much does the essential fertility for female cost? I’ve sent you an email to explain the costs and testing procedure, do check, and let me know if I can be of further assistance to you. Thanks for the enquiry. I’ve sent you an email, outlining the costs and details of the testing. Do let me know if you’d like to come by for your testing, would be happy to assist. I would like to know the prices for fertility screening for women. Thank you. Hi, would like to check on price for package b & c, thanks. I would like to find out the cost for detailed fertility screening for women and basic screen for men. My husband and I are trying for a baby. We would like to know the details of the screening as well. Thank you! Hi Dr Ng, I’m 26 and i’ve been trying to conceive for the past 2 years but there is still no good news. Can you provide me the fertility cost and which package i should be going for? Thank you. Hi Dr Ng, my wife and I have been trying for about 1 year but no success so far. Can you please send me the price for package A,B (men) and B, C (for women) ? Can we do the tests in Katong clinic? Hi i would like to know the total cost for the detailed fertility cost for woman. Do asvise thanks. The detailed fertility package for women costs 580. Please feel free to contact us at 68844119, or email me, if you’d like further info. I would like to inquire about the price of the essential fertility package both for men and women. We are couple trying to get pregnant and we have history of miscacarriage. Hi Dr Ng, I would like to know the cost and procedures for fertility screening for couples. How we know which package is suitable for us? Husband and I 30 yrs old and have been trying for more than 1 years. Please let us know the price for each package. Hi, I would like to enquire about the details of the Package B & C for Women as well as Package A & B for Men including the costs involved. Thank you! Hi, can email me the price for package B for men? Thank you bery much. Hi, can I get the pricing for fertility screening packages for both men and women? Thanks for the enquiry, I’ve emailed you directly about the relevant pricing and procedure for testing. Feel free to email back if you have further questions, I would be happy to assist! I’ve contacted you about the relevant pricing. Do let me know if you have further questions. Hi can you email me the detailed pricing for fertility screening packages for both men and women? Thanks. May i have the detailed pricing for all packages for both sexes? Can you advise me the pricing for the fertility test for both female n male? Thank you. Hi Drs, my husband and i have trying to conceive for more almost 6 months now but no success until now. I am 30 this year and my husband is 29. we would like to have a check for both parties, may i know how much is for a fertility check up? I have iron deficiency and anemia, does it cause a problem for us when we are trying to conceive? thanks. Hi, can you email me the detailed pricing for fertility screening packages for both men and women? Thanks. Hi, Could you pls be so kind and email me the detailed pricing for fertility screening packages for both men and women? thanks vm. Hi can you email me the different packages n pricing for fertility screening for both men n women pls. Thanks. Hi. Can you pls email me the different packages for fertility screening for women? Thank you. Can you please send me details of each procedure and pricing? My husband and I will start trying for a baby in the next 3 months and want to ensure everything is ok before we do. Will drop you and email with the details. Hi. i would like to know more on the packages and pricing for both men and women. Thanks. will email you more detailed info on the packages! I would like to know more about the rates for package b and c for women, and package a and b for men. When do you recommend couples to do this prior to trying for pregnancy? Hi Drs, I would like to know more about the rates on the fertility checkup packages for both women and men. Does the woman and man fertility screening done in the same clinic, as I noticed there are other clinic branches? Have sent you a separate email with the details of the testing. Thanks for the enquiry. I’ve sent you an email about the package details, we can correspond further if you have additional questions. Hi, I would like to know more about the rates on the fertility checkup packages for both women and men. Could you email me the prices of the packages for screening for both men and women? My husband and I would like to consider doing a screening. Hi. Could you email me the rates for the fertility screening for both male and female. Sure Denise, have sent you an email separately! I am 38 and my bf is 40 this year. Have been trying for a baby for the past couple of months without success. I thought it will be good for both of us to go for a fertility test. Which test would you recommend and how much do they cost? When is a good time to make appointment (as in before my period cycle starts/ends)? Is the timing from 9-5 only ? Is it not possible after office hours ? We are open on sunday mornings from 9am – 1 pm as well, if that works better for you. Have sent you a separate email about your fertility questions, do look out for it. Yes, I’ll drop you an email about the fertility checks, no problem! I would like to know the price for the different fertility test please..
Hi Dr Ng, I would like to check on the cost for all the fertility screening packages for both female and male. When is the best time to visit you during our cycle? Hi Dr Ng, I am interested to do a couple’s fertility check up. Could you email me the details please? Can I do the test any time of the month? Sure. Will get in touch with you via email! I’ll send you an email with the full details of the packages, and we can coordinate a time for you and your partner to come in if you like. Sure Wani, I’ll get in touch with you via email with more details about fertility testing. Hi Dr Ng, I would like to check the cost for couple’s fertility checkup. Can you please send me full details of the package ? Yes of course. I will email you directly about your fertility checkup. Hi .. I would like to know Men and women health package pricing ..
You will need to discuss with our doctors which package is most suitable for you. Hi, can i check how much u all charge for abortion less than 6 weeks? Can i use my medisave? How much can be deduct? Sure Eunice, will email you the details privately. So sorry, our clinic doesn’t perform abortions. My husband and I have been trying to conceive for almost a year now but still no luck yet. I would like to find out more about your package A and B.
I am just really curious about my fertility. I would like to know more about the first two packages for females, including their cost. Hi,My husband and be have been trying to conceive for 6 months. I would like to know the package price. Hello! I would like to enquire on the price packages for both male and female as my partner and I would like to enquire more. Thank you! Miss Nang i will send you the details of the package price directly to your e-mail. 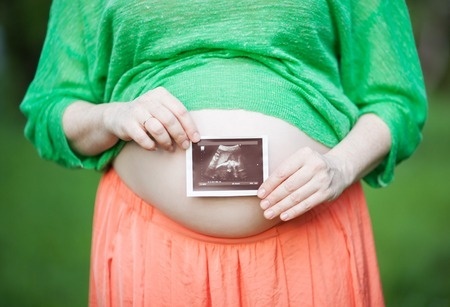 i will send you the details of the fertility package price directly to your e-mail. Hello Doctor, I would like to know about Male and female fertility package and I would also like to know when should we need to attend this test (esp. for my wife). Do all test taken at same clinic. Thank you ! Hi Sathish we will email you the details. hi! i would like to enquire more on the details & cost of the screening package for both male & female! would appreciate your reply thank you! Dear Sha, I have emailed you. How much it cost for fertility testing?Does it include transvaginal ultrasound?Because i wanted to let it check the condition of my ovary as i had a history of polycistic ovary. It does indeed include a transvaginal ultrasound of the pelvis with antral follicular count (this looks at the ovaries). I have emailed you with details. I would like to know the details cost also. Hihi i would like ask as i wanted to be pregnant for the second one how am i going to do as i really hope i can give birth to the second one for my husband and my husband hope i can give birth is a baby boy how am i going to do it? Dear Cherie, I have emailed you.